Straw painting makes the perfect bursts and splatters to look like fireworks. The kids enjoyed this process and are excited to wear their finished products for the 4th of July! Make sure you first cover your surface with newspaper or plastic. I also covered my children. This is a very messy art so we used the “garbage bag ponchos”. Just turn a garbage bag over and cut a hole in the top center for the head and one on each side for the arms. Mix your paint with just enough water to make it liquid but still thick enough that it will sit on top of the fabric and you can blow it around. 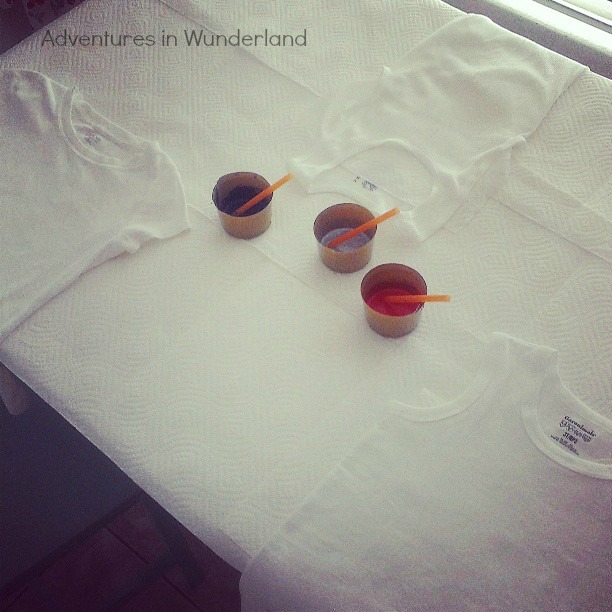 Using a straw, dip it into the paint with your finger cover the top portion so you can pick some up and drip it onto the tshirt. 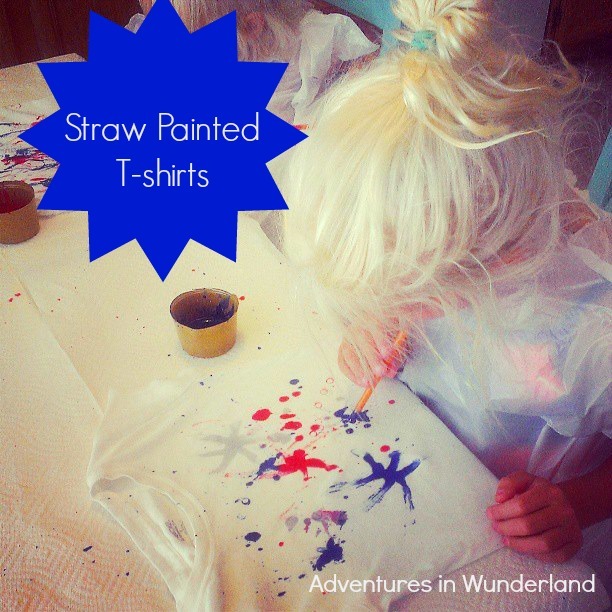 Blow the paint around using the straw. We cut them in half because it is easier to blow when there is not as much distance. We found that the best results were when your straw was still slightly touching the paint. 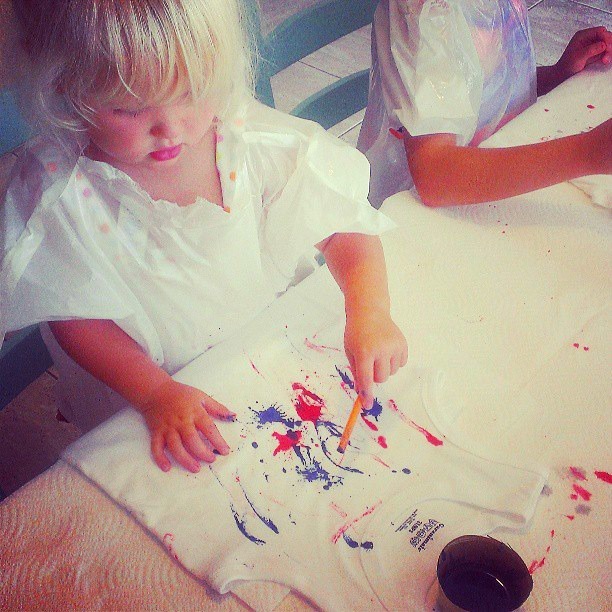 Wundergirl is a bit of a perfectionist so she ‘painted’ some star shaped onto her shirt before she started splattering. This art style has “boy” written all over it though. 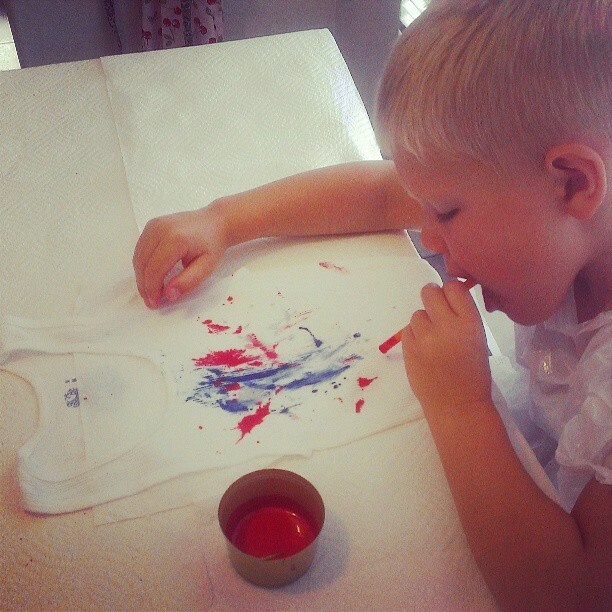 Wunderboy loved making a mess and spraying the paint everywhere….he would’ve kept going until the whole shirt was covered! The little one gave up on blowing on the straw (I helped her out) and decided that using the straw as a paintbrush worked just fine. And there you have it! 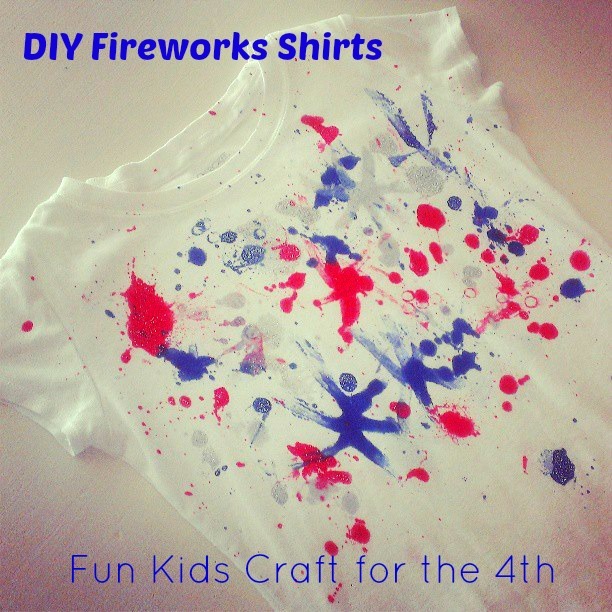 A fun patriotic shirt that the kids can make for themselves. Do you have any other fun 4th of July crafts? I’d love to hear about them!